At Moorlands, we are committed to providing all of our children with a balanced and broad curriculum, ensuring they reach their full potential and progress in all areas. 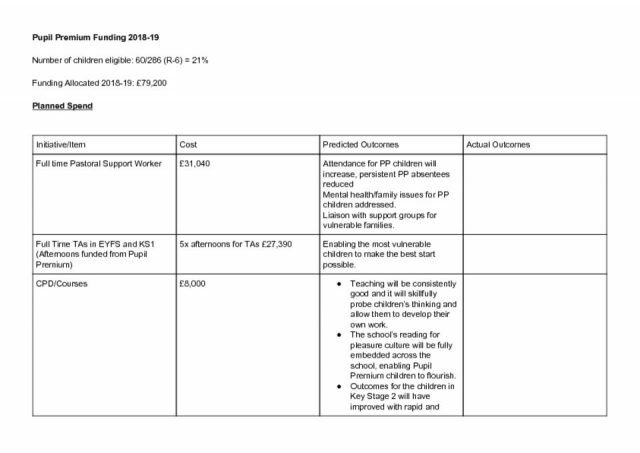 The school receives funding to ensure we provide additional support to raise the attainment of disadvantaged children, this is called Pupil Premium. 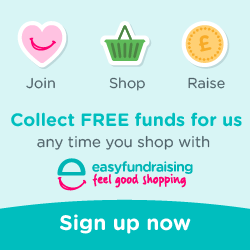 The school receives £1320 for the academic year for every pupil who is eligible for free school meals, or who has been in receipt of them in the last six years. The school also receives funding for those children who are ‘Looked After’, and service children. 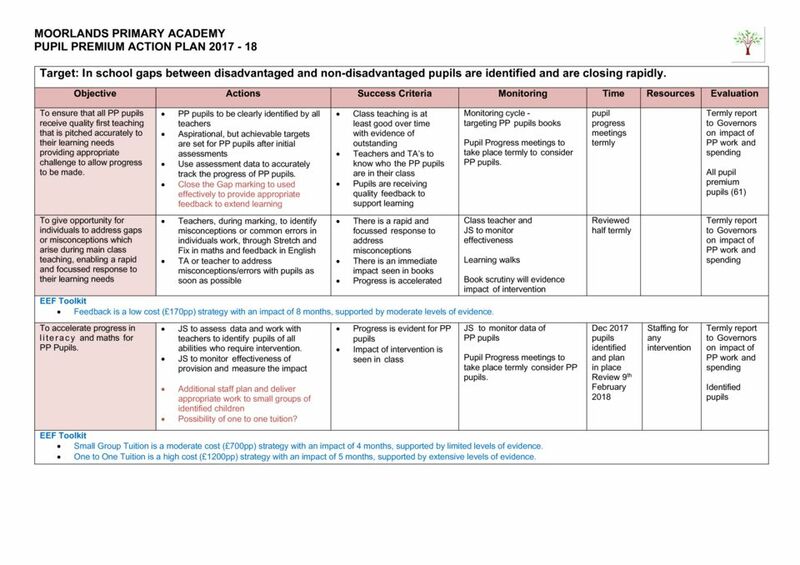 It is our role to ensure we allocate and spend this funding responsibly in order to have an impact on the progress of these children and diminish the difference between them and the non-pupil premium children. As well as building a system of pastoral support, we are committed to developing a strategy around developing a Reading for Pleasure culture in the school. We know that developing reading skills is fundamental to a child’s life chances. Therefore, the pupil premium at Moorlands should be seen in this context. 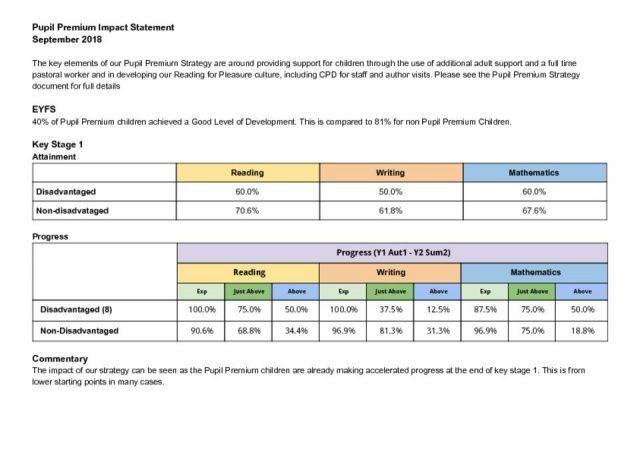 We strive to make the best possible use of our Pupil Premium allocation and effectively target additional support where it is needed most and remove barriers to learning. This support is organised by the Deputy Head and Pastoral Team. This is then overseen by the Governors. The nominated Pupil Premium Governor is Ian McInally. We use both internal and external data to measure the impact of the Pupil Premium Grant on our pupils’ learning. We will review the effectiveness of strategies we are using and adapt them to meet need when and where required. Children to make good progress, at least in line with the rest of the school, with each full cohort in school, in combined mathematics, reading and writing. Children to make good progress, at least in line nationally, in combined reading, writing and mathematics, as well as the spelling, punctuation and grammar test at end of Year 6. Children to be enthusiastic about their learning, to respond positively to support and develop their independence as a result.